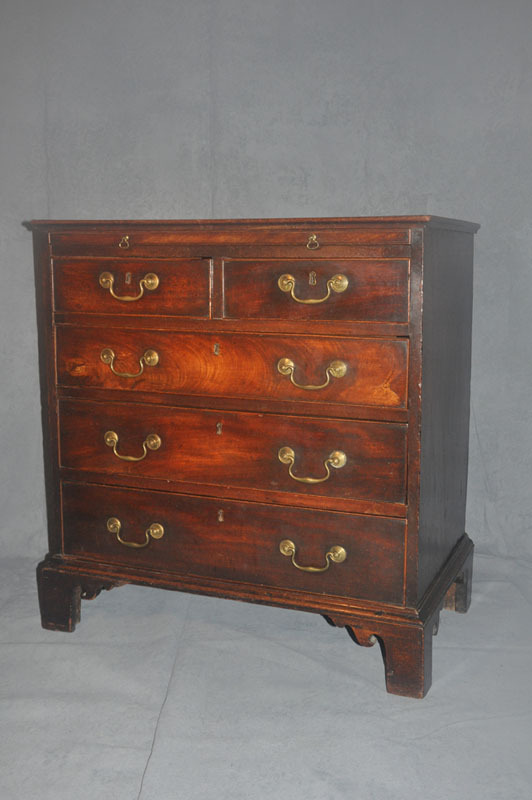 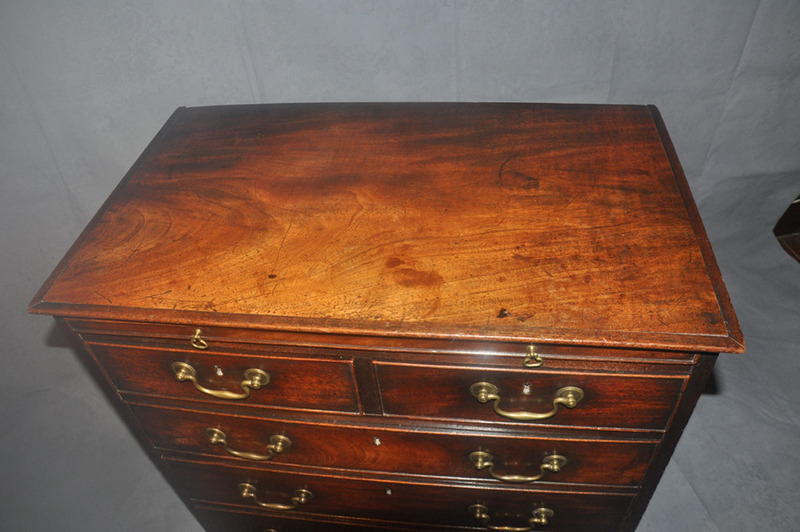 A Charming and rare 18th century Mahogany chest with brushing slide of superb rich warm colour and patina. 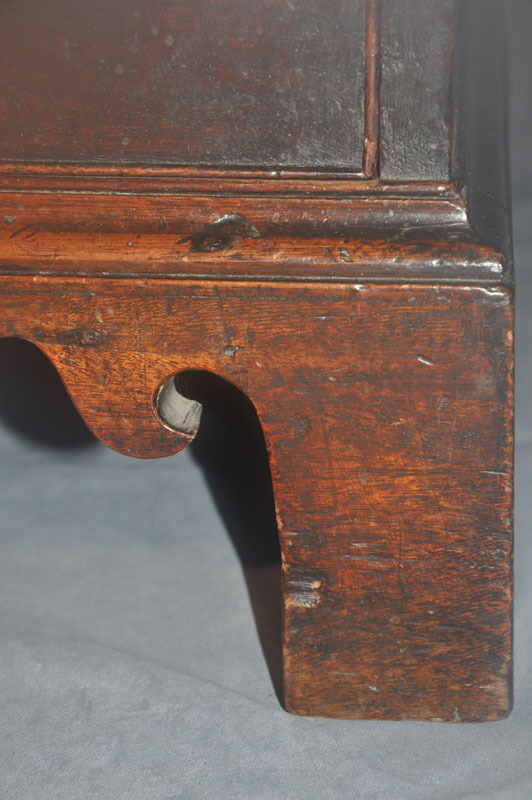 The handles and wonderfully shaped bracket feet are original to the piece. 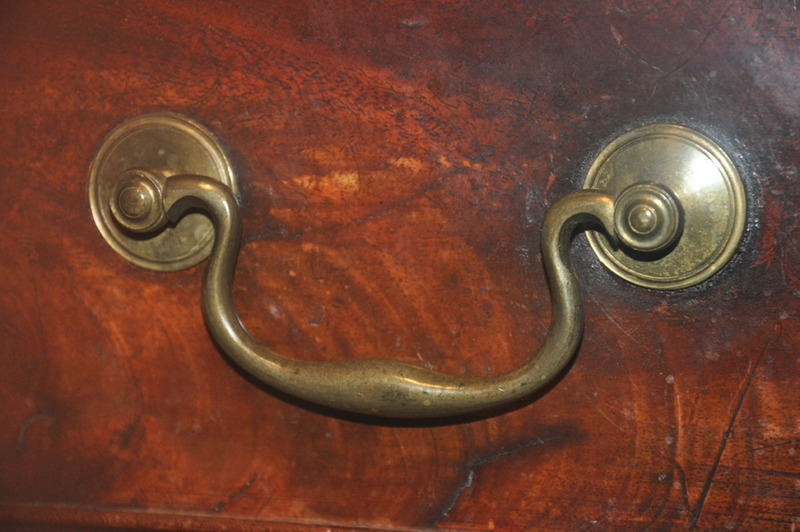 remarkably the brushing slide retains its original green base and brass studs.